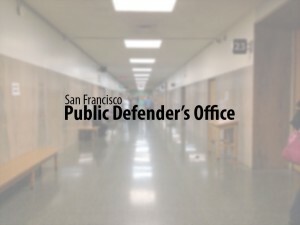 San Francisco, CA — The San Francisco Public Defender’s MAGIC program will be honored by public school officials Tuesday for its service to tens of thousands of low-income San Francisco children. San Francisco Public Defender Jeff Adachi, Bayview MAGIC (BMAGIC) Director Lyslynn Lacoste and Mo’ MAGIC Director Sheryl Davis will receive commendations at Tuesday’s 6 p.m. San Francisco Board of Education meeting at 555 Franklin St.
San Francisco Unified School District Board of Education Commissioner Emily Murase authored the commendations after visiting Mo’ MAGIC and BMAGIC’s recent backpack giveaways, held Aug. 11 in the Western Addition and Aug. 18 in Bayview-Hunters Point, respectively. The back-to-school celebrations provide nearly 4,000 students with backpacks, school supplies, and access to health and community resources annually. Mobilization for Adolescent Growth in our Communities (MAGIC) was initiated by the San Francisco Public Defender’s Office in 2004 in Bayview-Hunters Point and in the Western Addition in 2006. The program convenes more than 100 community organizations and concerned citizens who work to reduce the number of kids who fall through social service gaps by efficiently coordinating opportunities, support and resources.